Lawsuits are likely if the GOP governor signs the measures into law. LANSING, Mich. — The Republican-led Michigan House was poised Tuesday to pass bills that would delay a minimum wage hike and scale back paid sick leave requirements, a lame-duck strategy that was endorsed legally by the state's conservative attorney general despite criticism that it is unconstitutional. The legislation was pushed through the GOP-controlled state Senate last week and out of a House panel earlier Tuesday. The full House was expected to vote Tuesday afternoon, hours after people chanted in protest from the nearly Capitol rotunda. To prevent minimum wage and paid sick time ballot initiatives from going to the electorate last month, where they would be much harder to change if voters had passed them, Republicans legislators — at the behest of business groups — preemptively approved them in September so that they could alter them after the election with simple majority votes in each chamber. One bill would slow an increase of the state's $9.25 minimum wage to $12 an hour to at least 2030, instead of 2022. It would also repeal provisions to tie future increases to inflation and bring a lower wage for tipped employees in line with the wage for other workers. Another bill would exempt employers with fewer than 50 employees from having to provide paid sick time as required under the existing law that is scheduled to take effect in March. It also would limit the amount of annual mandatory leave at larger businesses to 36 hours, instead of 72 hours, and make other changes. About 162,000 small businesses that collectively employ 1 million workers would be exempt from providing paid sick leave under the legislation, according to the Michigan League for Public Policy. In a legal opinion made public Tuesday, Republican Attorney General Bill Schuette told legislators that although the state constitution requires third-fourths votes in both chambers to change voter-approved laws, it imposes no "express limitations" on amending citizen-initiated laws passed by the Legislature. He said courts have ruled that initiated laws should be treated similarly to ordinary legislation. His opinion differs from one issued in 1964 by a Democratic attorney general, who said changes cannot be made in the same session. Democrats criticized Schuette, who lost to Democrat Gretchen Whitmer in the governor's race. "Just like his friends in the Legislature, the attorney general seems intent on using his last weeks in office to turn this lame-duck session into nothing more than a GOP smash and grab before Democrats take office in January," said Samantha Hart, spokeswoman for House Minority Leader Sam Singh of East Lansing. If GOP Gov. 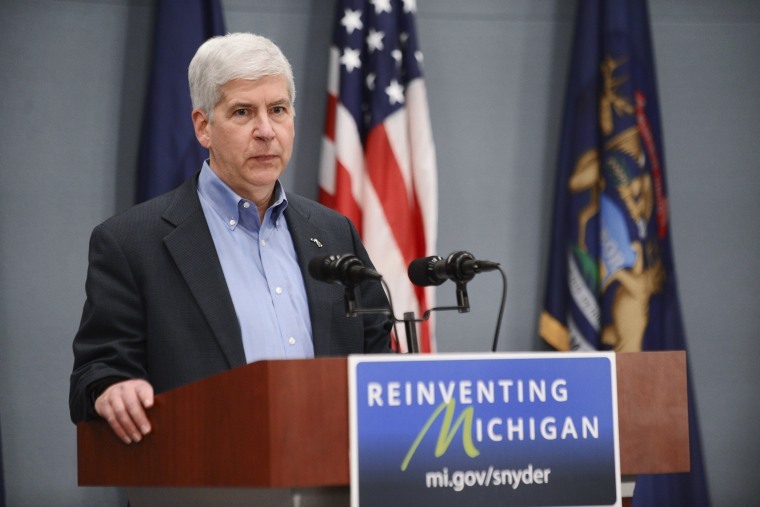 Rick Snyder signs the bills, lawsuits are likely. Paid sick leave advocates have already vowed to launch a 2020 ballot drive if the Legislature successfully guts the law that made Michigan the 11th state to require employers to provide paid time off to workers who are sick or who have ill family members.